Following the entertainment theme of my last post where I showed how to stream your digital media to your HDTV using TVersity, here is another one on movies. 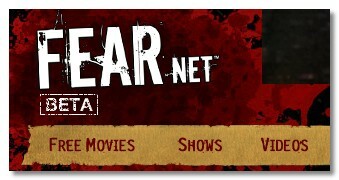 If you are a fan of horror films, videos, tv shows, FEARNet is a site to visit. FEARNet is an online network for horror movies, videos, news and upcoming releases. Plus, you can watch plenty of full-length horror movies for FREE online. Here are a few free movies that were listed – some old movies and some new movies. Also, there are many videos and behind the scene videos from horror tv shows. You can also see trailers, clips, short films, interviews and music videos. Plus, there’s a social network including a community you can join, blogs to read, forums to post audio and video, etc. If you have been wondering what to do this weekend you could get a load of horror movies, for free! Here, you can watch free full length movies online, both Hollywood and horror movies watch live TV online. It includes numerous TV channels of different countries around the world and contains large collection of latest movies. No registration require to access all this. HAHAHAHA this is awesome. I am going to tell my dad about the horror site as he is a big time fan of horror movies. I am sure he will enjoy it very much. Thanks for the post I had no idea something like this was available. Alexs last blog post..Accessories make the outfit! Your site and posts are very interesting ! Thanks for providing such a great resource. With so many junk sites out there it’s refreshing to find one with valuable, useful information ! I’ll be back to read regularly !